The German ferry Siebengebirge capsized and sank, while being under tow by tug Ikar. The convoy with ferry was en route from Hoek van Holland with destination Finland, but west of Texel in Netherlands developed heavy list after water ingress. The accident was reported to local authorities and to the scene were sent rescuers with additional pumps, which rushed to the last known position. Meanwhile, the tug proceeded towing toward the coast of Texel, but the ferry capsized and sank before arriving of the rescue boats. There was no crew aboard the sunken vessel and no reported injuries during the incident. 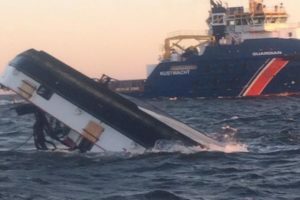 The local authorities and Dutch Coast Guard sent offshore tug Guardian to mark the wreck area and sent warning to seafarers. The investigation for the root cause of the accident is under way. 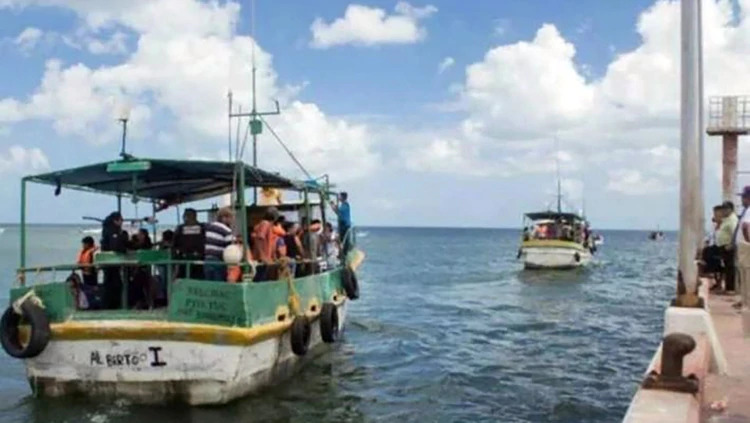 There is no report about oil leak and water pollution, but local authorities are monitoring the area of capsizing. The German ferry Siebengebirge has overall length of 50.00 m, moulded beam of 14.00 m and maximum draft of 6.00 m.
The tug Ikar has overall length of 30.00 m, moulded beam of 8.00 m and maximum draft of 2.50 m.